Order now for shipment as early as Friday, May 3. This ring is hand-made in our Los Angeles manufacturing facility and currently estimated to ship on Friday, May 3. Should you need this item before the estimated ship date, please contact our customer support staff at 1-877-627-5094 1-877-627-5094. 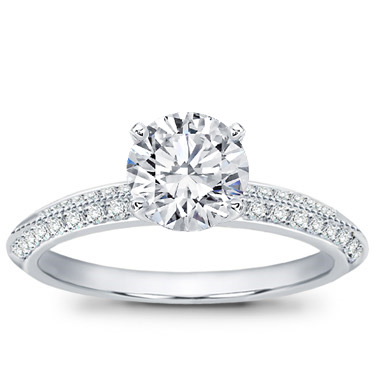 This diamond pave engagement ring is set with thirty-six round diamonds totaling 0.32ct. 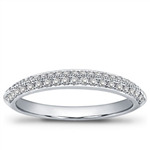 This setting is available in white or yellow gold and platinum.